Java can be freely downloaded from Oracle’s website. 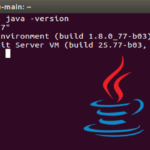 You need the Java JDK to be able to write your own Java programs. JDK stands for Java Development Kit and it includes everything you will need to accomplish small or big projects. 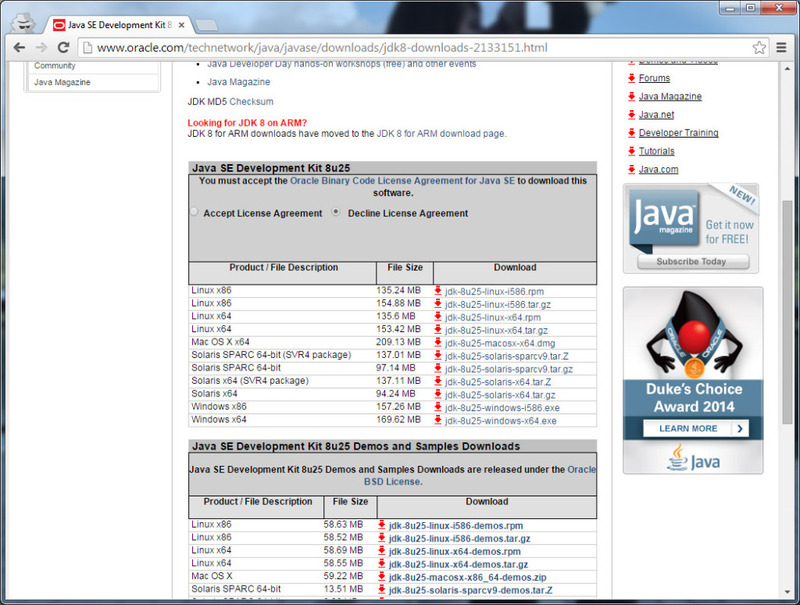 Scroll down to Java SE Development Kit. Now click on the download link next to your operation system to download the installation file. Please note, you have to accept the license agreement to be able to do this. After downloading start the installation and go trough the setup wizard. Note the path where you are installing Java. The setup wizard will install JDK and JRE on your computer. JDK is the one you need to write your own java programs and JRE (Java Runtime Environment) is the interpreter program which executes java programs on your computer. You will need both for this example to work. If the command returns a build number (see the screenshot below) than everything went well. Now you are ready to write your first java program. Open your favorite text editor program. Please don’t use programs for rich text editing like Microsoft Word or similar. Use Notepad (or Notepad++, UltraEdit, gEdit etc.). 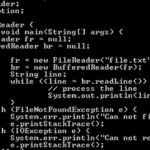 Now lets go back to the source code of our example and take a closer look. In Java you need a public class to make a program executable. Everything in Java is build upon classes and interfaces. You will learn more about this in our next tutorials. System.out.println displays a text in the console and appends a new line to it. 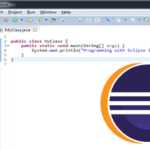 In our next tutorial Java Eclipse Tutorial I will show you how to use the Eclipse IDE to simplify code writing, building and execution of Java programs. Java Basics install java, java example, javac, simple java program. permalink.